Pilon fractures are injuries that occur at the lower end of the tibia and involve the weight bearing surface of the ankle joint. The fibula may also be broken. High-energy pilon fractures can have soft tissue complications such as infection and wound rupture that can lead to amputation of the injured limb. 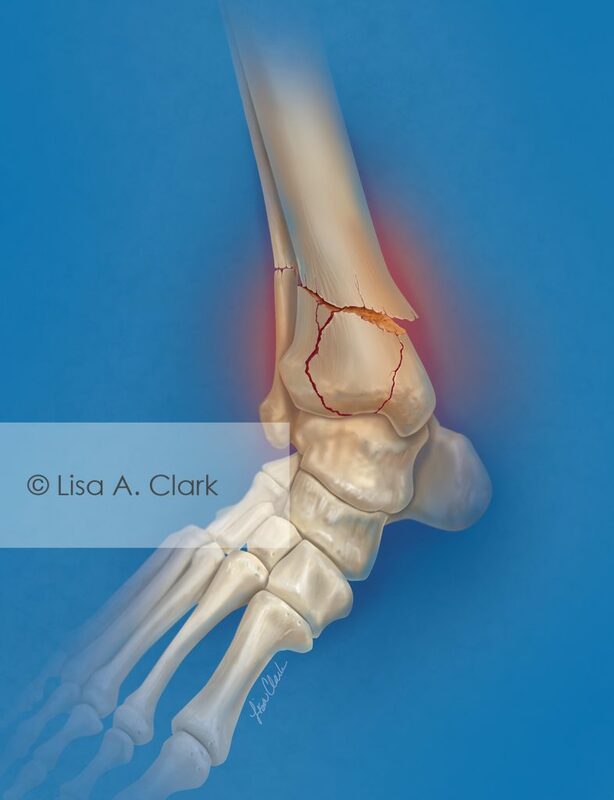 This illustration was created for a medical journal discussing the best techniques for treating ankle bone fractures.